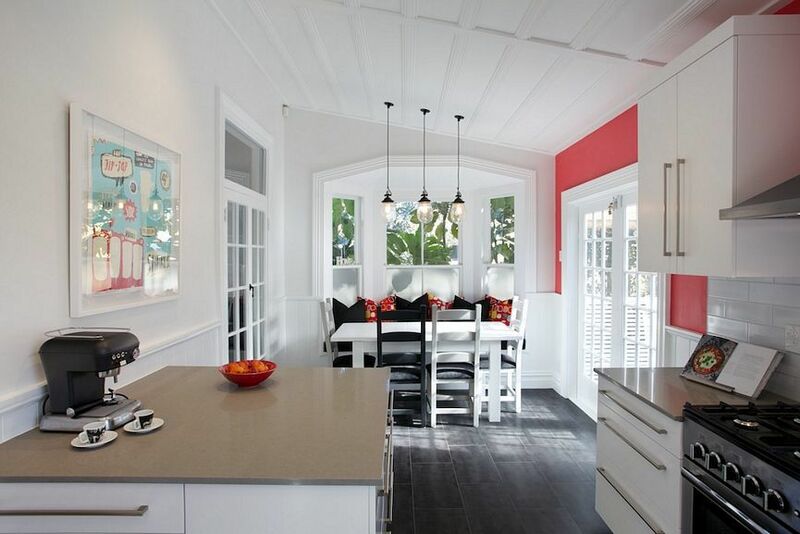 The kitchen in this classic Ponsonby villa was in dire need of updating. My clients requested a new kitchen that would operate as a modern and practical space. And they wanted it to look completely different than the old world, traditional style kitchen they had in the UK. This new world kitchen was to be sleek and contemporary, but with some personal touches to call their own. The appliance star that sets off the main wall is the large Falcon stainless steel range with matching hood. 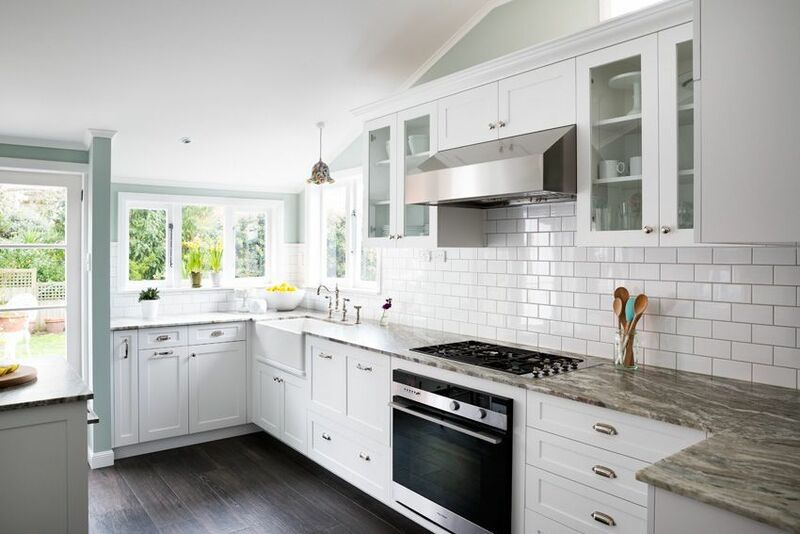 Aluminium doors break up the expanse of white painted cabinets, frosted glass adds lightness and a little sparkle, and long stainless steel pulls add vertical and horizontal accents throughout. 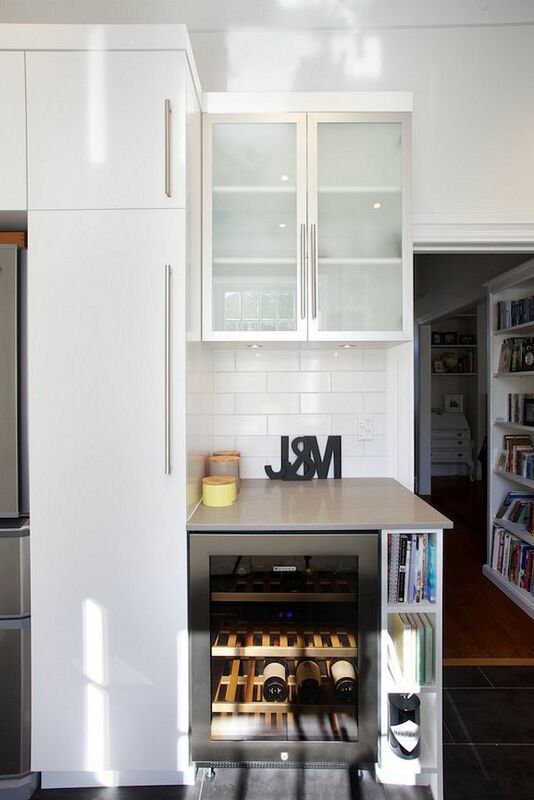 A small bar area next to the tall fridge and pantry is practical and opens up the long narrow space. A large island, with cabinets on three sides, is the perfect work area and provides much needed additional storage. But for personality and a unique touch, you can’t beat that long red wall! Here the perfect paint colour was chosen to match the owners’ favourite painting and the quirky red cushions at the dining alcove complete the look. 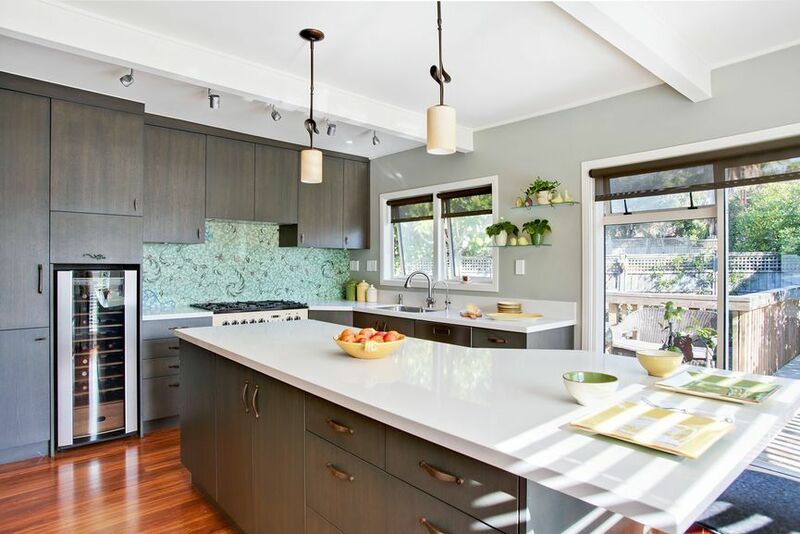 Altogether, this lovely new kitchen is bright, fun and hardworking with all the necessities any cook could want.